Turquoise Place is the ultimate destination for your Orange Beach vacation. Prepared to be wowed when pulling up to the impressive grounds of Turquoise Place. These two dazzling towers sit directly on the white sugar beaches and offer some of the best resort amenities in the area. 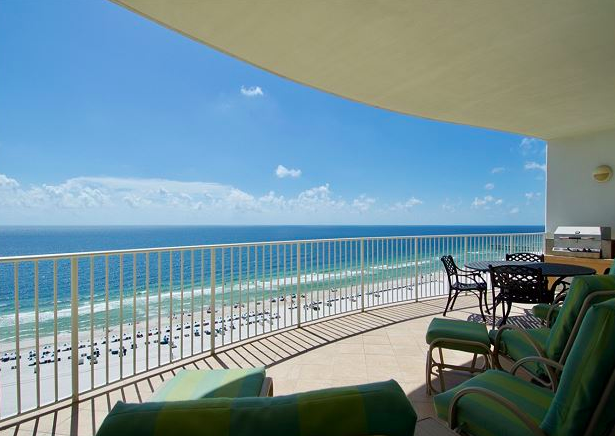 Unit C1006 is beautifully furnished throughout and boasts incredible views of the gulf coast from the 10th floor! C1006 provides plenty of space to comfortably accommodate up to 10 with a sprawling 2,400SF of living area. The chef’s kitchen is equipped with everything you need and more for preparing homemade meals for your guests. Perfect for entertaining, C1006 features a wet bar with separate ice-maker, wine chiller, and margarita machine! Enjoy cocktails or dinner al fresco on the grand beachfront balcony offering ample seating, a private hot tub, and gas grill. Spend the day at the beach or enjoy the winding lazy river, multiple pools, tennis courts, fitness center, sauna/steam room, and tiki bar. A large playground, kiddie pool, onsite games and seasonal children’s programs will keep the little ones entertained all day! Plan your trip at Turquoise Place today! Find more pictures, availability, and rates on the owner’s RENTAL page. 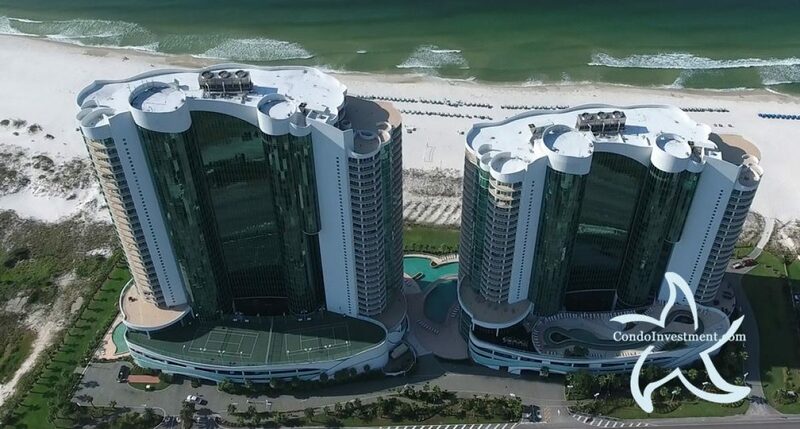 Unit 804 – Turquoise Place, with its distinctive turquoise-colored glass walls running up the center of both towers, has set the bar for luxury in Orange Beach, Alabama. This condo is absolutely stunning! Just steps away from white-sand beaches and the shimmering green waters of the Gulf of Mexico, the views of the water are breathtaking. You will never be at a loss for things to do here thanks to the ample amenity package. Float around in the lazy river, swim in one of the three pools, or schedule an onsite spa treatment. Head over to the onsite fitness center or enjoy a game of tennis with friends of family! Whatever you like to do on vacation, Turquoise Place has something for everyone! Unit 904 – Are you looking for the perfect condo for a luxury vacation with friends, family, or a couple’s retreat? Turquoise Place has all you need and more for a memorable vacation to Orange Beach, Alabama! The upscale amenities at Turquoise Place include a lazy river, outdoor pools, an indoor pool with stunning northern views, tennis courts, and a fitness facility. Turquoise Place is centrally located in Orange Beach, Alabama, so you never have to go far to find something around town to do when you’re not relaxing by the pool or digging your toes into the sand. Unit 1102 – Ready for a romantic getaway to scenic Coastal Alabama? Planning out a family vacation to the beach? Maybe you need a solo getaway to relax on your own? Whatever you’re here for, Turquoise Place sets the bar when it comes to luxury and relaxation in Orange Beach, Alabama. The two towers that comprise Turquoise Place are set apart from other buildings in the area by their distinctive turquoise-colored glass walls. Amenities here include a lazy river, outdoor pools, indoor pools, fitness center, and tennis courts, just to name a few. Pamper yourself with an onsite spa treatment before heading down to the poolside restaurant for a delicious meal. Unit 1706 – Nothing beats a relaxing trip to the Gulf of Mexico and Turquoise Place goes above and beyond what you would expect from a traditional beach vacation. Day or night, the amenities at Turquoise Place will keep everyone happy! Float along the lazy river or swim in the pool, play a game of tennis on the lighted course, or just walk down to the beach to enjoy the sunset. Turquoise Place is ideally located just minutes from some of the best attractions in the Orange Beach area, such as the famous Flora-Bama Lounge just over the state line in Perdido Key, Florida. Unit 2305 – No matter what time of year it is, a trip to the luxurious Turquoise Place resort in Orange Beach, Alabama makes for a memorable vacation that the whole family will be talking about for years. Hang out around the lazy river, pools, or Gulf of Mexico during the day and then enjoy a stunning sunset from your private balcony at night. Head down to the nearby Flora-Bama for a taste of the Gulf Coast’s vibrant night life or stay in and pamper yourself with an onsite spa treatment.